Aboard the Mistress Linda we pride ourselves with Safety and taking the best level of care during your trip. If you board the Mistress Linda then you accept that you are subjecting yourself to various kinds of risks many of which you must retain sole responsibility for. Before leaving the Harbour you will be asked to read the Safety Briefing booklet so you can understand the risks that you are taking. Training Manual –kept in the locker above the cooker it contains all the information and Safety Management plans inc wearing life jackets, emergency evacuation procedures and in the event of the crew being taken ill how to operate the VHF radio to summon the emergency services and how start and stop the engines. Boat Safety Plan – is located in the training manual and is available upon request. Liferafts – SOLAS class B 10 man auto deploy and inflate life raft is on the wheelhouse roof, in the event of any emergency follow the skippers instructions, 4 man Solas B valise in cabin under stbd seating. Life jackets – These are located under the seating in the wheelhouse on the starboard side and also under the bed in the forward cabin. Medical conditions – if you have a condition that will affect you throughout the day or compromise the safety of those onboard please advise the skipper before the trip starts inc the need for any medical assistance or prescribed drug usage and the location of all relevant drugs. Should a helicopter transfer be required DO NOT TOUCH THE DOWN LINE from the helicopter as the static voltage discharge may cause severe injury or death. TPA’s – Thermal Protective Aids are kept in the seating in the cabin. Gas – please refer to the gas sign on the port aft bulkhead of the cabin above the gas locker. Alcohol usage – although not advisable but acceptable in small amounts as long as it does not affect anyone’s safety onboard (remember you may have to drive when you return ashore). If excess amounts are being consumed or someone becomes worse for wear the trip will be terminated immediately on safety grounds. 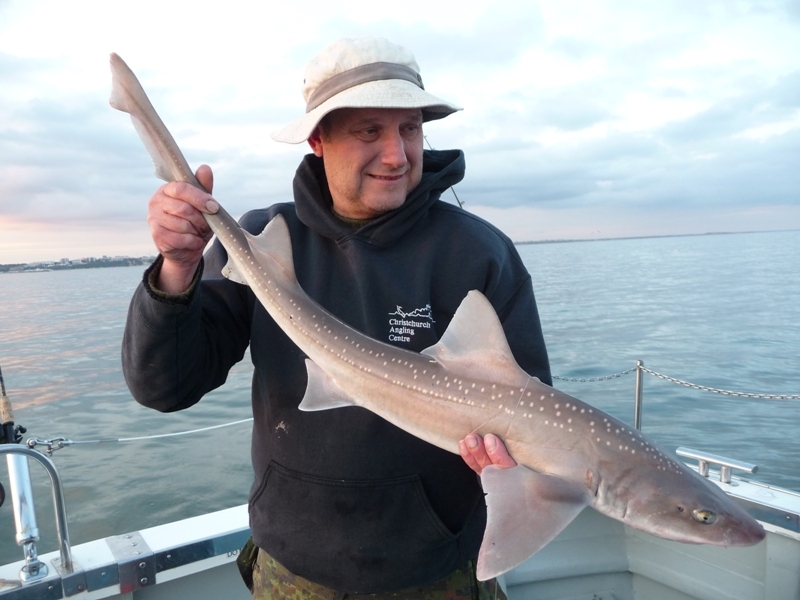 Handling of Fish– Many of the species you are likely to catch have spines, sharp teeth, ability to crush, rough skin and in some cases are poisonous if you are unsure ask the skipper to remove the fish. 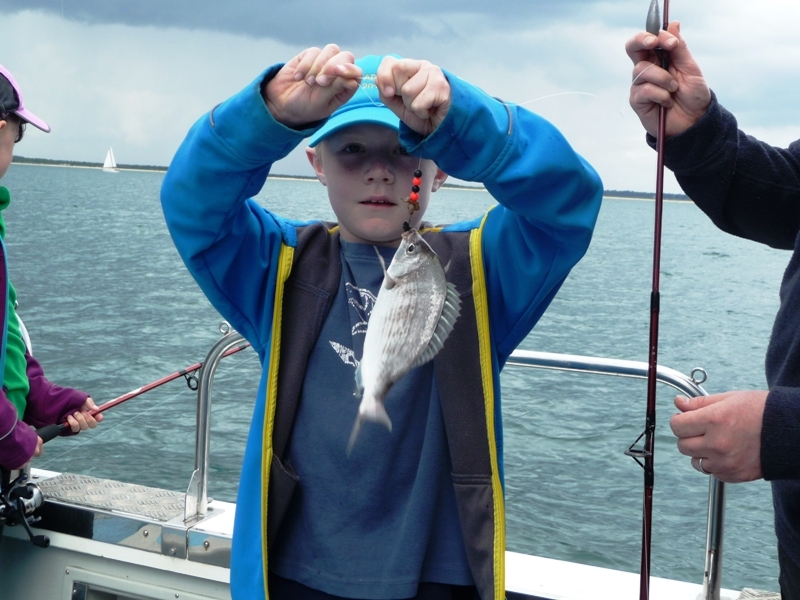 Fishing Tackle / Personal Equipment – No casting is permitted within the boat, remove lead weights when the boat is underway and if you use the rod stowage holders ensure NO loose hooks or weights are attached. All equipment bought aboard is the direct responsibility of the individual at all times during the trip including stowing it safely. We cannot be held responsible for the security of the gunnel mounted rod holders as anglers move these and often do not retighten properly or inform the skipper. Clothing – It is your responsibility to provide adequate warm and water proof clothing for the trip inc non slip footwear, no studded footwear allowed, on sunny days a hat and sun tan cream are advisable. 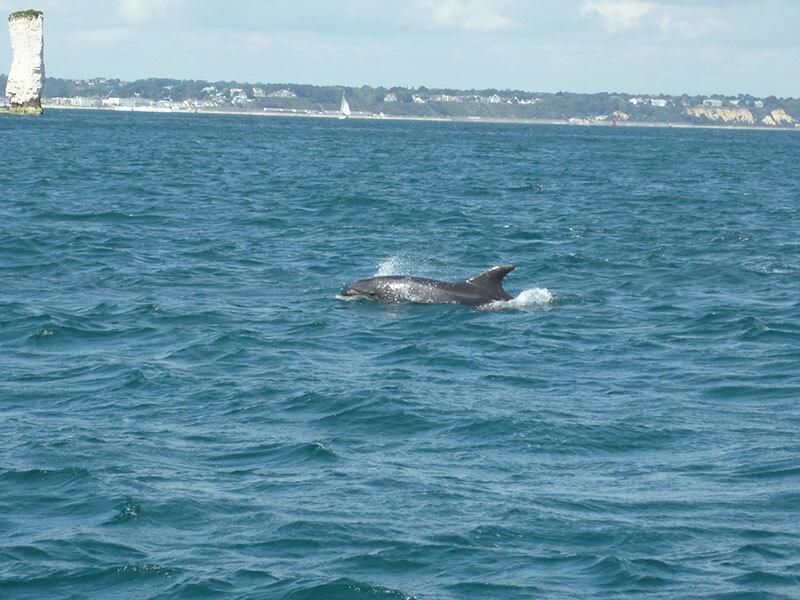 Cameras/ Phones– these are generally not designed for the marine environment and should be kept somewhere safe and dry (we are not responsible for this), when offshore it is advisable to turn your phone off as other networks may charge you. Pictures / DVDs – Pictures and DVDs taken on-board may be used to promote the Mistress Linda on its Facebook or website pages. If you do not wish to have you or your families pictures taken then please advise the skipper when that member has caught a fish, we ask you to do this to avoid any issues that may affect your days enjoyment. If you wish to have copies of these pictures please let the skipper have your contact details and email address. 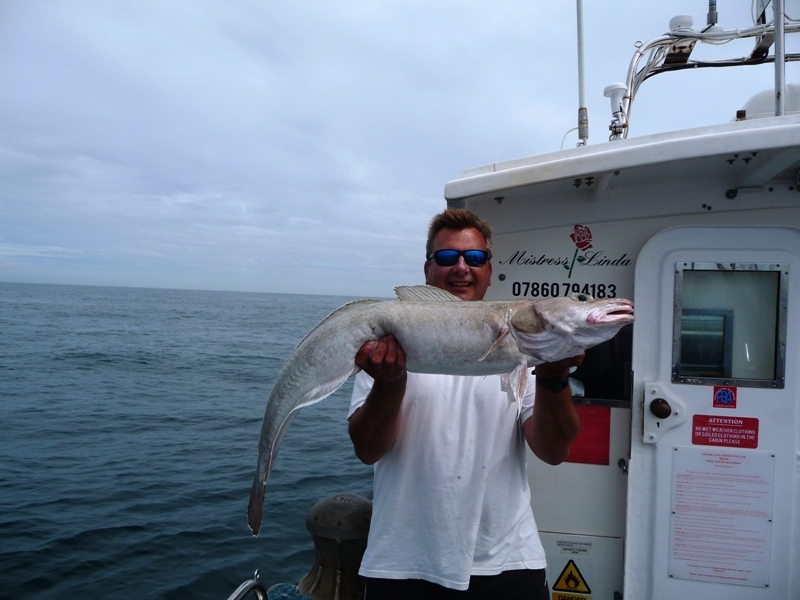 By prior arrangement a DVD can be made of your days fishing and sent onto you later using the pictures taken that day, due to copyright laws we cannot add music. Knives – do not walk around carrying unsheathed knives or leave un protected blades on the bait cutting table. No knives to be used whilst engines are running. Motion– boats are unstable platforms and likely to roll at any moment so extra care must be taken when moving around, when under way please remain seated as violent motion may occur at any moment without warning. 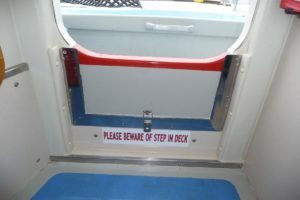 Access and Egress is only permitted with the skipper’s permission. 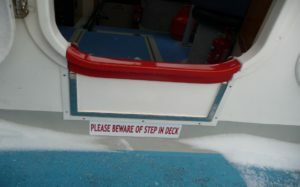 In the unlikely event of an emergency please follow the skippers / crews instructions. The owner/skipper of the Mistress Linda does not accept any responsibility should you choose not to follow the Safety Guidelines. In the event of ‘heavy weather’ the washboard will be inserted in place at the entrance to the wheelhouse, caution must be exercised to avoid tripping over the washboard, this is a legal requirement.